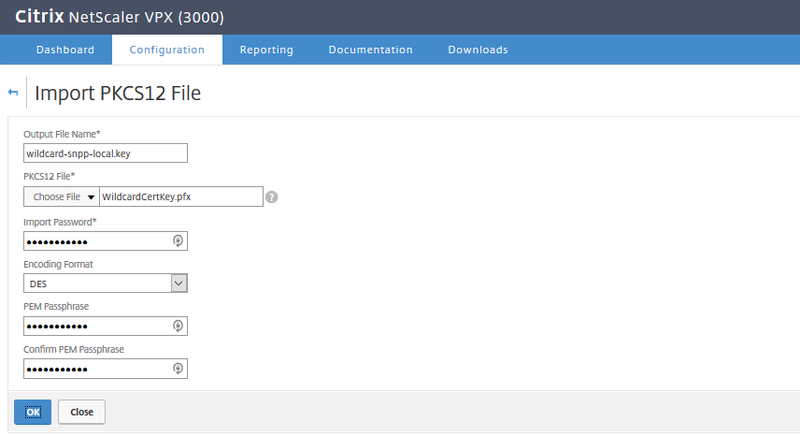 My lab is very XenApp and XenDesktop focused, but I need to expand the functionality to include secure access with NetScaler Gateway and incorporate mobile device management/mobile app management (MDM/MAM) with XenMobile. 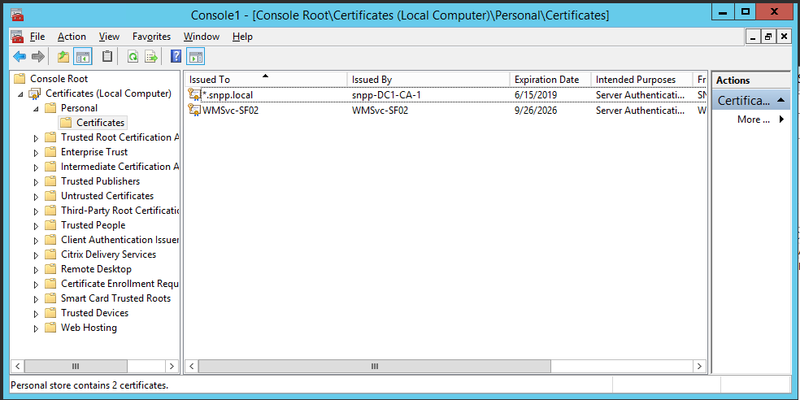 From what I understand, in order to do this, I really need to install certificates. D’oh! Every time I have to deal with certificates I know I will run into issues. I’m not spending money on certificates for my lab. 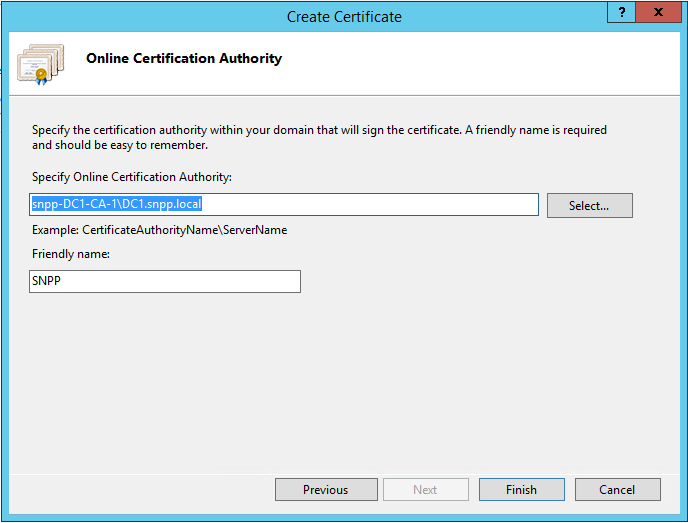 I want to use Microsoft Certification Authority. Unfortunately, most documentation I read simply states “Get a certificate from your public authority”. That is not very helpful. And I suspect many XenApp and XenDesktop admins have similar challenges, so I decided to document the process (minus all of the mistakes). First, some details about my starting environment (in case you are using this to guide your buildout). First time use wizard (GUI) completed, without configuring any optional settings. 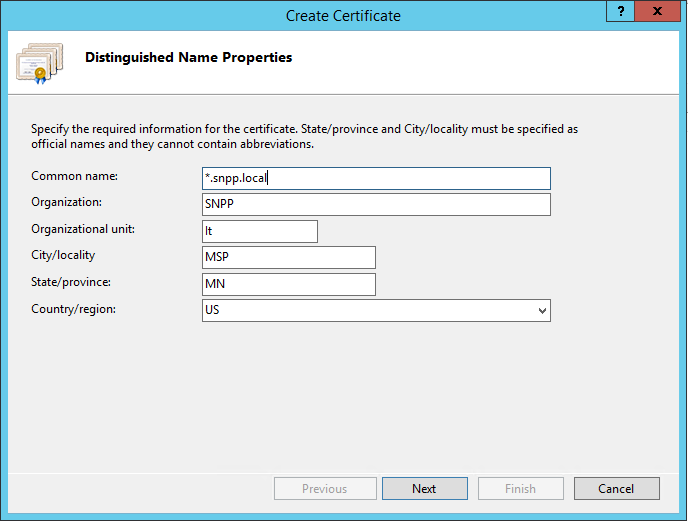 I did not configure certificates, LDAP, or NetScaler configs. 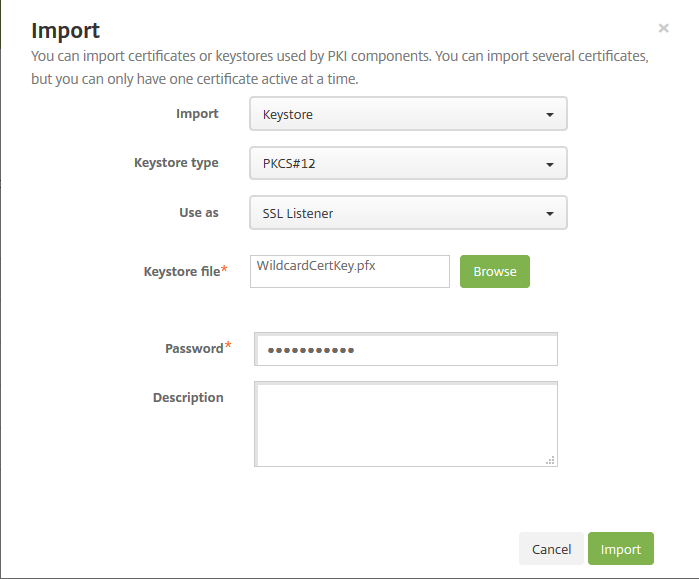 Note: You can opt to use FQDN server certs instead of the wildcard, but you will need one for each server. The process is the same. 2. 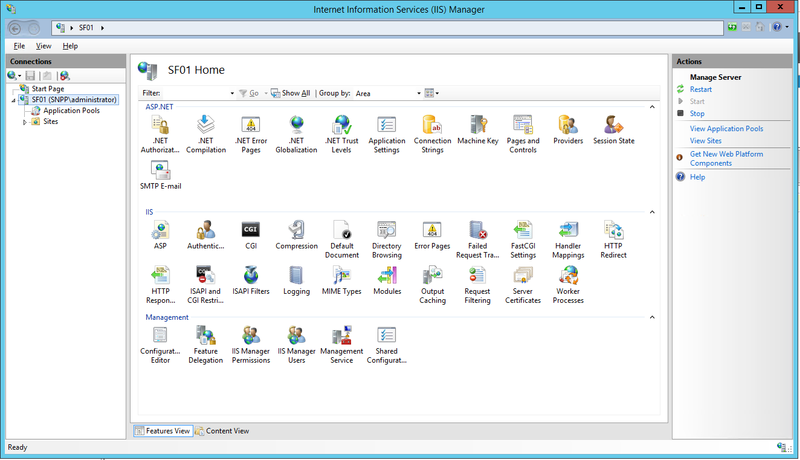 Within IIS Manager, select the server in the left pane. 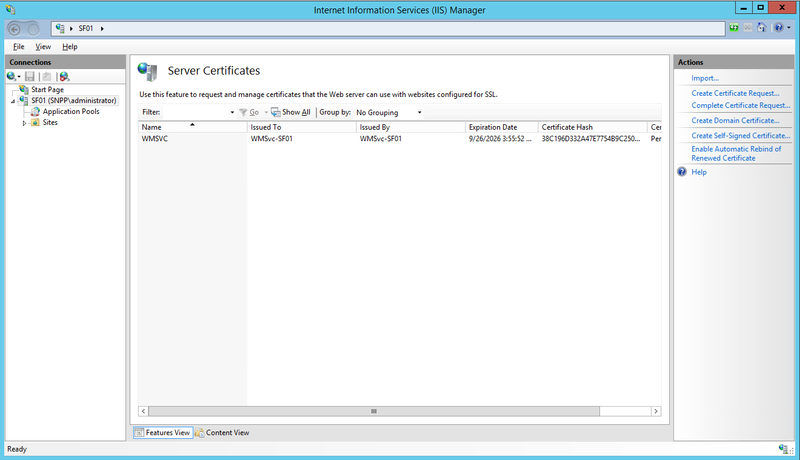 Then double-click Server Certificates in the middle pane. 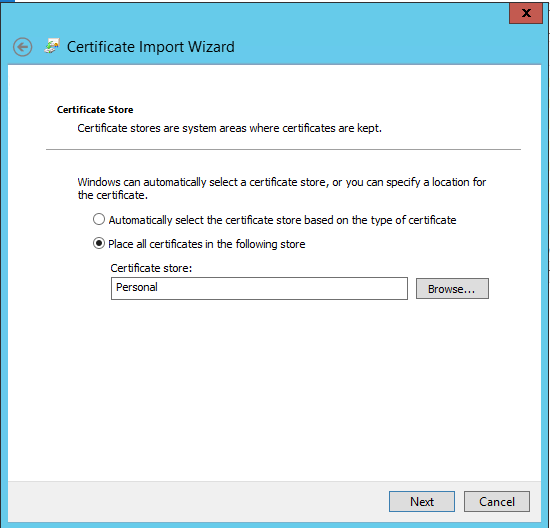 The certificate is installed on the local StoreFront server. 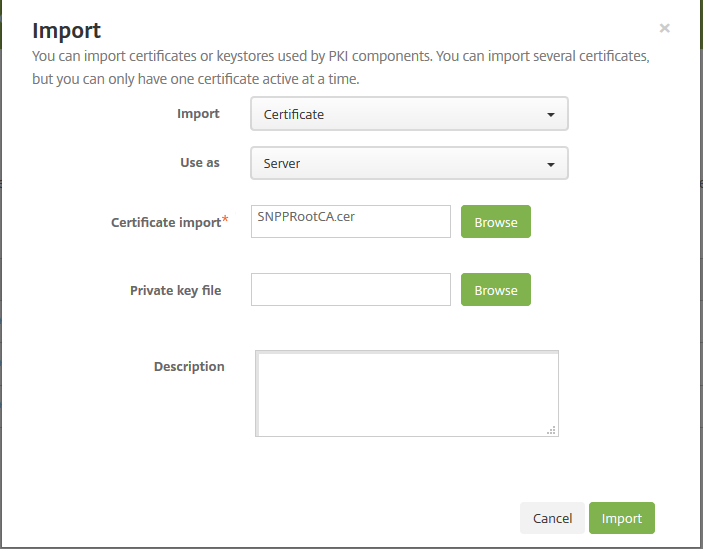 We need to export the certificate and private key so we can install it on our other servers. 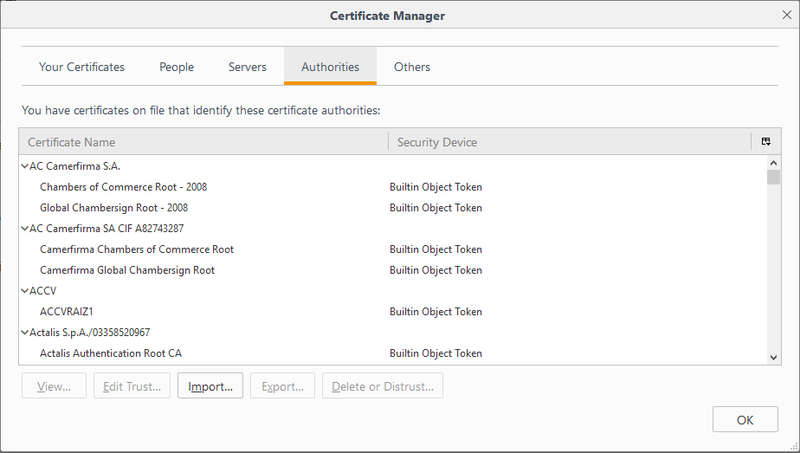 We need one more certificate, the Root Certificate so all of our devices will trust the certificates from our private CA. 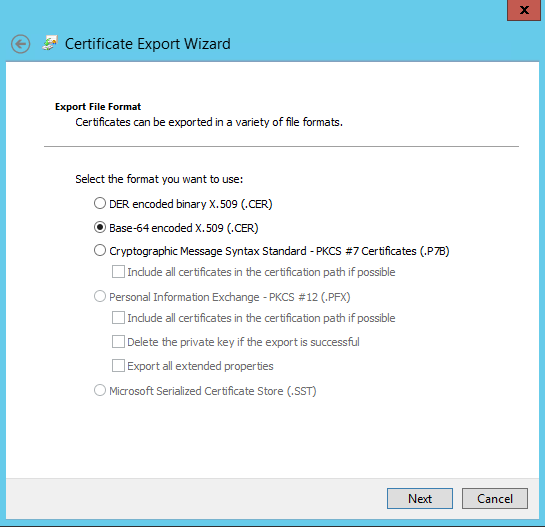 We need to install the certs on the StoreFront server, delivery controller, XenMobile server and NetScaler. 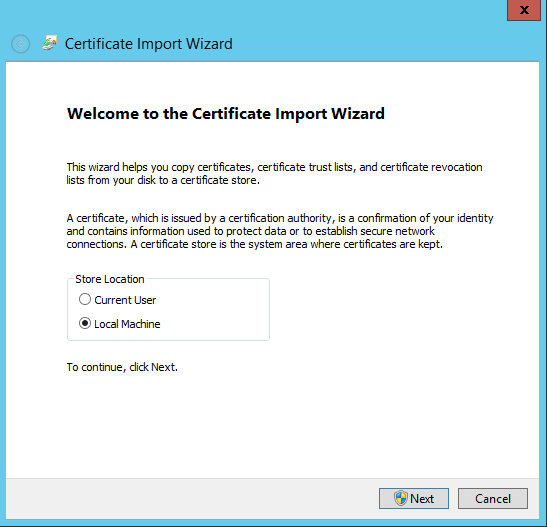 Because we created a domain certificate request on the StoreFront server, the certificate is already installed. But if you have multiple StoreFront servers, this must be done on the remaining ones. On the storefront server, double-click on the SNPPRootCA.cer file. 5. The Root CA is now installed on the host. To test the certificate, launch a browser to https://xm01.snpp.local:4443. 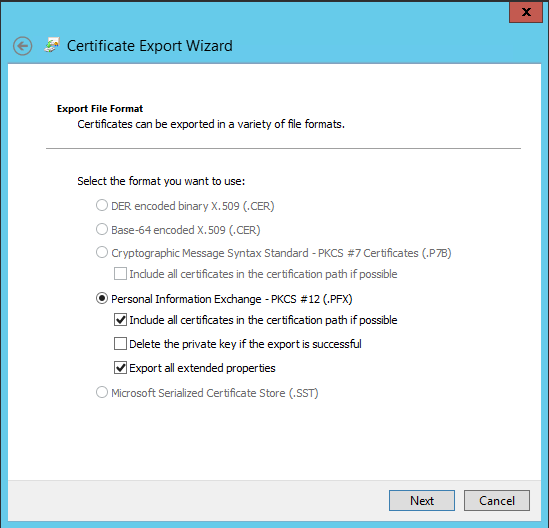 If the certificate works, there should be no untrusted certificate warning message. 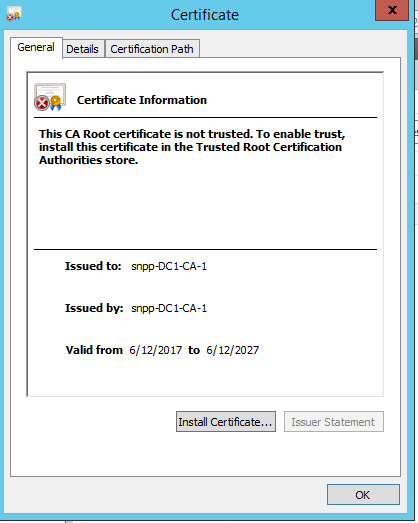 Make sure your endpoint has the following the root certificate installed in the local machine store. If using Firefox (browser I used), you have to add the Root CA cert directly into the browser. 5. Under Authorities, select Import. Launch a browser to http://172.16.0.14 and log in. We are done with Certificates!!!!!!!! !